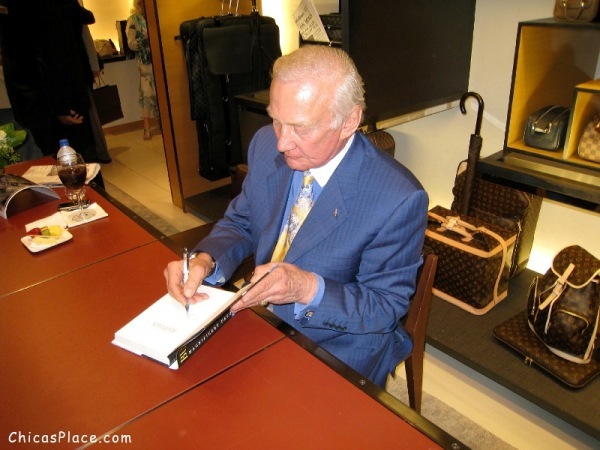 i got an invite last week to meet Buzz Aldrin at the Louis Vuitton store at Fashion Square Mall so there’s no way i could pass that up! when we got there they had servers with trays of champagne…mmmm! he was a really nice guy and we chatted for a little while but he was very busy so i didn’t want to bother him too much. he’s a good looking guy for 79 years old!